Rwanda is the ultimate jungle escape for the adventurous traveller. Its gorgeously green and misty forests are home to the magnificent, world-renowned Silverback Gorillas. 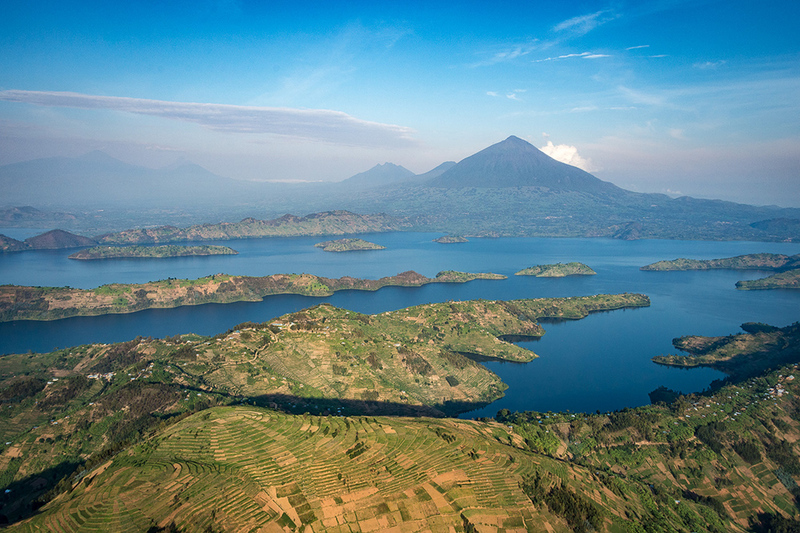 Rwanda is fondly known as the ‘land of a thousand hills’ because of its remarkably hilly landscape and its spectacular volcanoes. Here are 4 reasons why this incredible destination should most definitely be on that bucket list of yours! Not only is Rwanda the realm of the Silverback Gorillas, but it is also home to a multitude of monkey species. Rwanda promises to be the pinnacle of monkey interactions. Of course, a trip to Rwanda would be wasted without the unique experience of a gorilla trek but, why not combine gorilla trekking with chimpanzee trekking to create an utterly unforgettable experience? Nothing compares to the excitement of spotting Colobus and Mangabey monkeys whilst strolling through the lush, virescent jungles of Rwanda. Birdlife is also abundant—making Rwanda the ultimate bird lover’s paradise. Rwanda guarantees an exceptional jungle experience. Gorilla treks, chimpanzee treks, bird-watching, and hiking, set against the backdrop of Rwanda’s lush forests, all combine to ensure an exciting jungle adventure. Luxurious lodges allow guests to feel at one with the jungle, and they offer an unrivalled sense of peace and tranquillity. Every visitor dreams of catching a glimpse of the elusive Silverback Gorillas—the absolute stars of Rwanda. The dwindling number of gorillas makes gorilla trekking an essential experience for visitors, and it is an encounter that one will never forget. The two hour drive from Kigali, the capital, is certainly worth the time spent with these breath-taking, magnificent creatures. The forests of Rwanda are enchanting, the accommodation is exceptional, and the wildlife is outstanding. These features create a recipe for an escapade that is filled with thrills and wonder. Although the beauty of Rwanda is magical, Rwanda has been victim to a very bloody past. It is essential for every visitor to make a trip to the Kigali Genocide Memorial Centre to pay their respects to those who lost their lives during the Rwandan Genocide. The Centre is both sombre and thought-provoking, and it is an imperative outing for anyone who wants to connect with Rwanda on a deeper level. The Volcanoes National Park is another spot that visitors have to see. 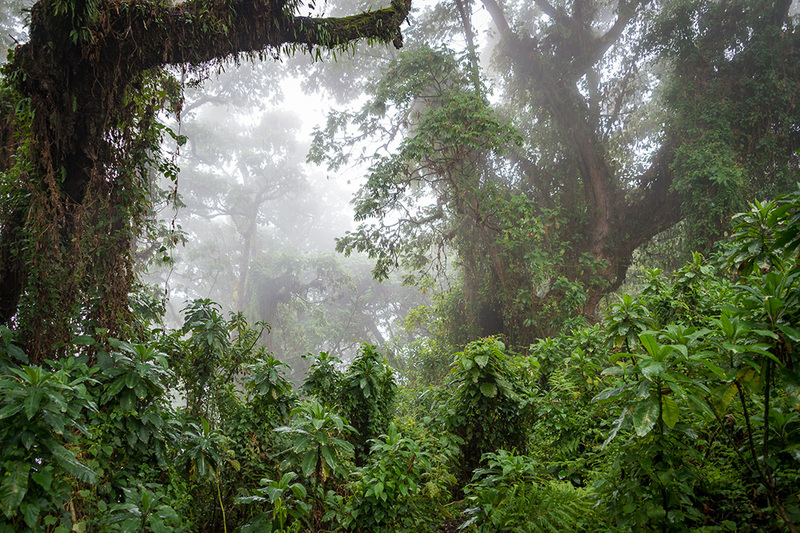 There is nothing quite like watching the mist roll in over the forest while you follow in the footsteps of the great naturalist, Dian Fossey. The park gives you a chance to capture your very own ‘gorillas in the mist’ moment. Nestled in its very own eroded volcanic cone, and conveniently neighbouring Rwanda’s celebrated Volcanoes National Park, you will find one of Rwanda’s most luxurious lodges—Bisate Lodge. The lodge itself is a sight to behold—striking in its unique design, and set against the backdrop of Rwanda’s verdant forested landscape, Bisate Lodge allows guests to marvel at the wonder that is Rwanda. Read more here.